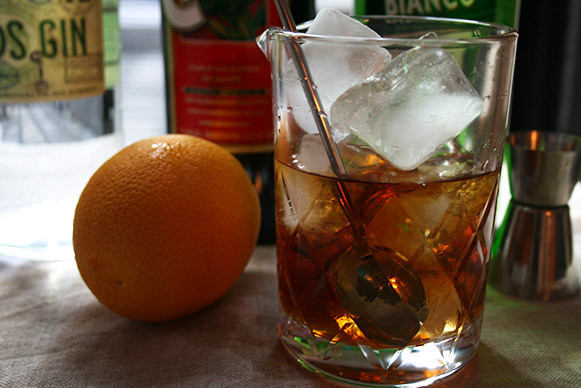 When I was introduced to the negroni cocktail 15 years ago by my boyfriend (now my husband), it was impossible (outside of Italy) to find bartenders who knew how to make a good negroni without looking up the recipe in a cocktail book. Negroni is a popular apéritif in Italy and I saw many Italians drinking them in the bars in Italy (my first was in Bar Magenta in Milano). The only place in the US I found where they knew how to make it right was my favorite bar in San Francisco called Tosca. Fifteen years later, thanks to the craft cocktail book, and now I can order negronis just about everywhere in big US cities like New York (not so easy still in the rest of the country). My husband and I always look for new cocktail recipes. We are not beer drinkers and we drink wine only during meals but we always drink cocktails before and after meals. 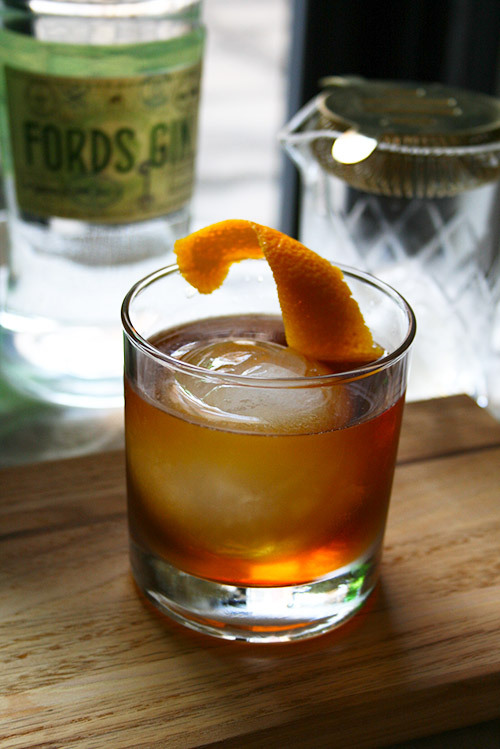 Most of the cocktails we like are heavy on the bitters. There are more varieties of bitters available now in the local liquor store so it is much easier to experiment these days. When I was in my bourbon phase, I was crazy about Boulevardiers. I am now out of the bourbon phase and my husband found me a new favorite cocktail called Berlioni. 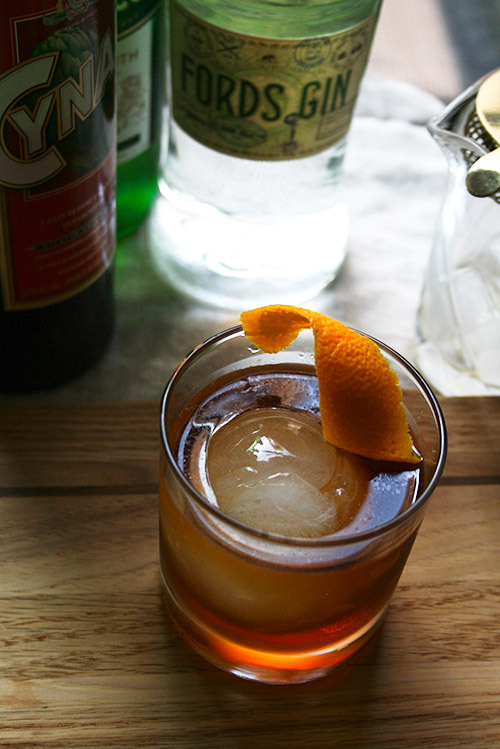 It is the cousin of negroni but unlike negroni, it is a dry (savory) cocktail. Berlioni is by far my favorite cocktail so far and I can't get enough of it. 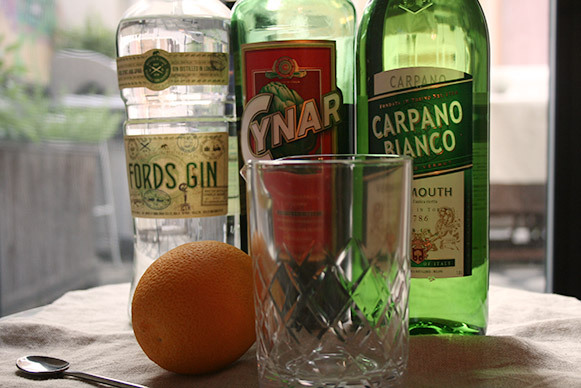 Combine gin, Cynar and vermouth in a mixing glass (or a large glass). 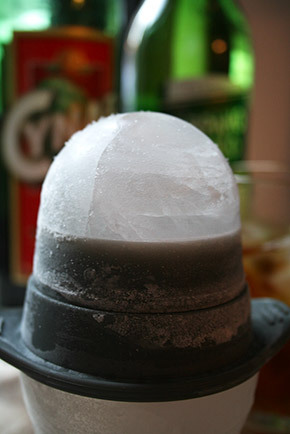 And some ice to fill the mixing glass. With a bar spoon (or regular spoon), stir gently until chilled. 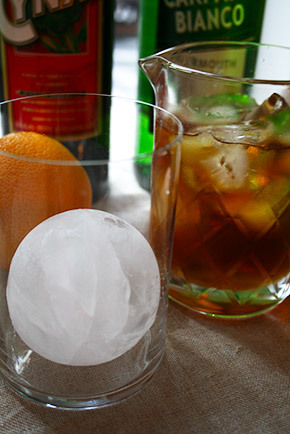 Pour into a glass with ice (preferable large size ice ball or cube) through a cocktrail strainer. Squeeze orange peel over the drink, rub it on the rim of the glass and ganish it in the glass.